You might be surprised to find that Mongols, or Mongolians, are classified as one of the 55 recognised ethnic minorities in China. Yet there are approximately 6 million ethnic Mongols living in the country, nearly twice the population of Mongolia itself! While constituencies of Mongols are scattered throughout the northeastern provinces, the largest concentration can be found in the Inner Mongolia Autonomous Region. That being said, what precisely defines the Mongol ethnicity is a subject that is under heated debate! A Mongol is a member of an ethnographic group made up of a number of tribal peoples, who roughly share the same social structure, economy, culture, and language. Generally speaking, they are descended from nomadic pastoralists who lived on the steppes of Central Asia, were notoriously excellent horsemen, and travelled with their herds over vast grasslands. Frequent wars, tribal disagreements, and migrations caused a widespread diaspora, meaning communities of Mongols can be found throughout Central Asia. Nowadays they can be roughly classed into a myriad of sub-groups, including: the Khalkha, the Dorbet, the Olöt, the Torgut, the Buzawa, the Chahar, the Urat, the Karchin, the Ordos Mongols, the Bargut, the Daur Mongols, the Monguors, and the Buryat. In spite of their shared ethnicity, each of these sub-groups has their own distinctive traits and customs. 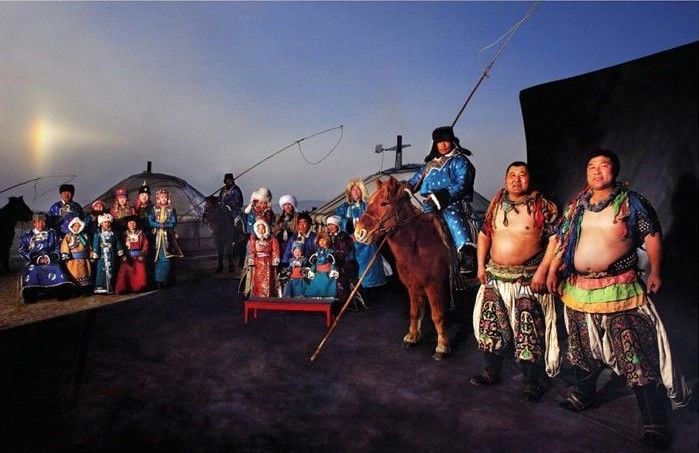 In China, even the Tuvan people are classed under the Mongol ethnicity, although their culture is considered to be wildly different from most Mongols. Historically, the ancestors of the Mongols were small nomadic tribes, such as the Xiongnu, the Xianbei, and the Donghu, who roamed the regions surrounding the Argun River sometime between the 5th and 3rd century BC. They remained largely separate until the beginning of the 13th century, when an enigmatic warrior loomed on the horizon and threatened to irrevocably change the course of history. In 1206, this powerful and persuasive clan leader called on all of the other clan leaders in the region to gather at a specific location along the Orkhon River in order to hold an assembly known as a kurultai. At this assembly, he persuaded his rivals to not only form an alliance and unite their separate territories, but to make him their ruler. His name was Genghis Khan. From then onwards, these tribal peoples were known as the Mongols and the Mongol Empire was born. With the formidable Genghis Khan at its helm, it grew to become the largest contiguous land empire in world history. Even after the Mongol Empire collapsed, his legacy would live on in his grandson, Kublai Khan, who conquered the entirety of China and established the Yuan Dynasty (1271-1368). It was the creation of the Mongol Empire that largely facilitated commercial and cultural exchange between China, Central Asia, West Asia, and Europe, while the Mongols openness to other cultures during the Yuan Dynasty led to an era of religious freedom where Tibetan Buddhism, Islam, and Christianity were all allowed to flourish in China. Alongside the Manchu, the Mongols were the only non-Han Chinese ethnic group to have taken control of China proper. As such, their contributions to Chinese history, culture, literature, language, medicine, and astronomy have been invaluable. 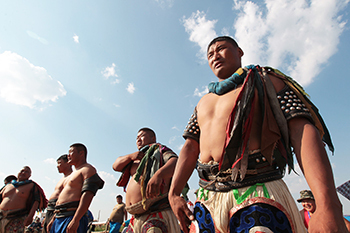 From bright white gers glittering like pearls on the grasslands to the strange and haunting sounds of Khöömei or Mongolian “throat-singing”, their unusual lifestyle has been a source of fascination for centuries. Time may have passed, but they have remained much unchanged: formidable on horseback, deftly accurate with a bow, fearsome in their wrestling attire, and unparalleled in their toughness.